The EC directed CEO of Gujarat to lodge FIRs against TV channels that aired CongressPresident-electt Rahul Gandhi's interview. NEW DELHI: The Election Commission on Wednesday directed the Chief Electoral Officer (CEO) of Gujarat to lodge FIRs against TV channels that aired Congress President elect Rahul Gandhi's interview as "it violated the law". "The Election Commission today received reports and complaints to the effect that some TV channels in Gujarat have displayed interview given by Rahul Gandhi of the Indian National Congress, in which Rahul Gandhi has been talking about election to legislative assembly of Gujarat which are currently in progress," the EC said. Earlier in the day, the BJP had lodged complained to the EC regarding the telecast of Gandhi's interview. "Such display falls within the definition of ‘election matter' under Section 126(3) of Representation of People Act (RP Act), 1951 and display of such election matter within 48 hours ending with hour fixed for conclusion of poll, amounts to violation of Section 126(1)(b) of RP Act," the poll panel added. 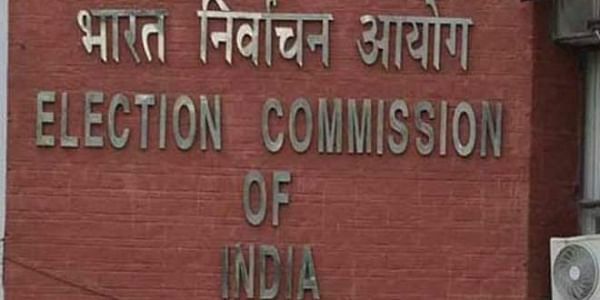 "The Commission after due deliberations has, therefore, directed the CEO of Gujarat to initiate necessary action by filing FIR against those who have violated the above mentioned provisions in phase 2 of the polls to be held on December 14," it said. It also directed TV channels "displaying the said election matter" to "forthwith stop the display of such matter".